Oh, my goodness. Wow. What a huge issue we have for you this month. It’s our biggest and probably our BEST. ISSUE. EVER. and it’s all because of you! 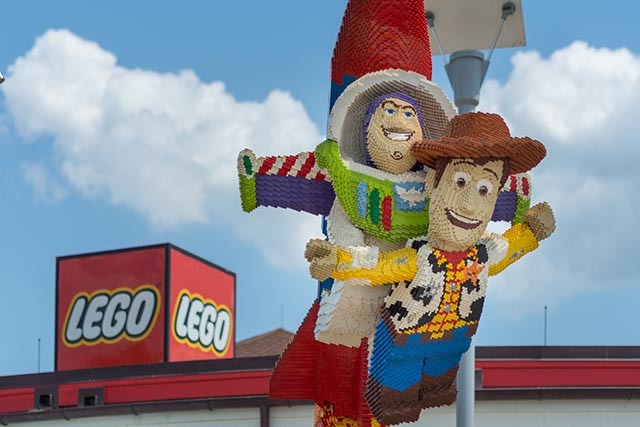 This month we celebrate Family Fun at Walt Disney World. This is exciting. 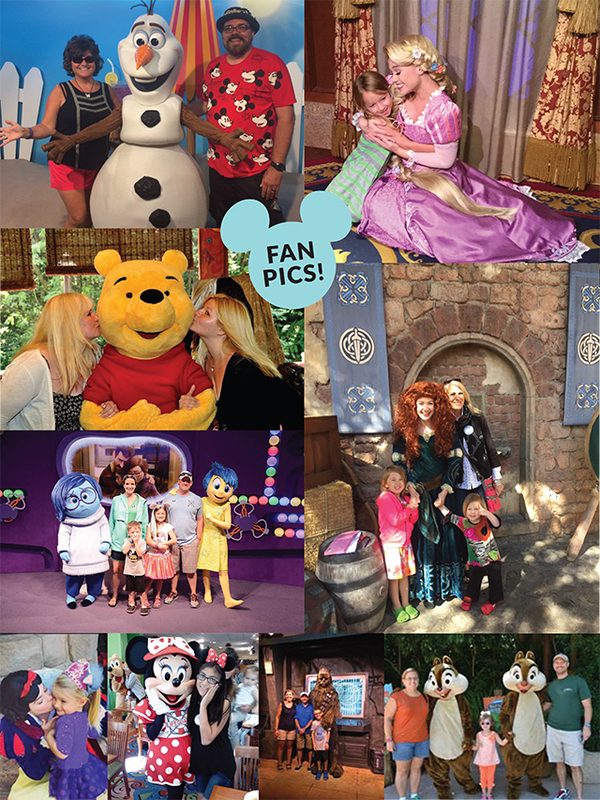 This month our Family Fun at WDW Feature articles are about, you guessed it, Families. We go through all the stages of life. Families with babies and young children, older kids and teens, families with grandparents, the whole group, couples and going solo. Oh, and we wrap up our Family extravaganza with a father taking you through the whole spectrum. From the honeymoon to going with married children and everything in between. We’ve got it all covered. If you are traveling with a big group, one of the most important questions is which hotel is the best option for the most family fun. That’s where we start in this month’s Helping Hands. Then, we talk about whether to Splurge by staying on property or to be a Scrooge and stay offsite. Going with a group can be tricky so this month we look at how to use the MyDisneyExperience app with a group. Very helpful. 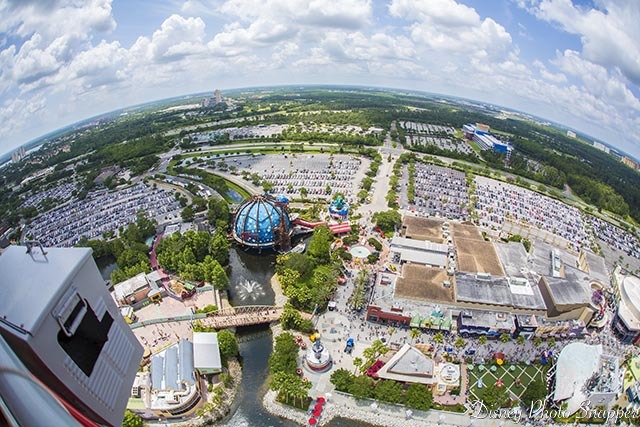 We wrap up Helping Hands with a birds eye view of Walt Disney World from the Characters in Flight attraction in Disney Springs. When I first saw the lineup for Family Fun at WDW I was floored. Wow. What a lineup. It all starts with the brand new Frozen Ever After. We’ve already been on it and even have some incredible pictures. Then it’s off to the Art of Animation Resort and the top 10 reasons we love it. Next we hop over to Disney Springs and go to T-Rex. Yummy and after eating we head over to the Lego Store for some FUN!!! See, GREAT lineup! Speaking of input. This month our FanZone poll had record responses. 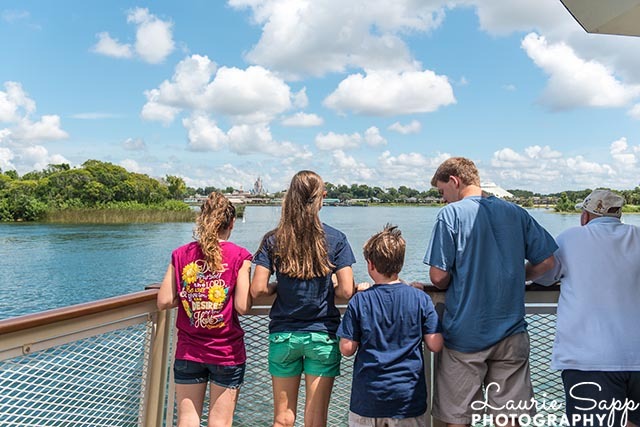 We ask who you take on your WDW vacation, have you ever been with another family, how many trips have you been on and what’s your favorite place to take a family photo and boy did you respond. Thank you! 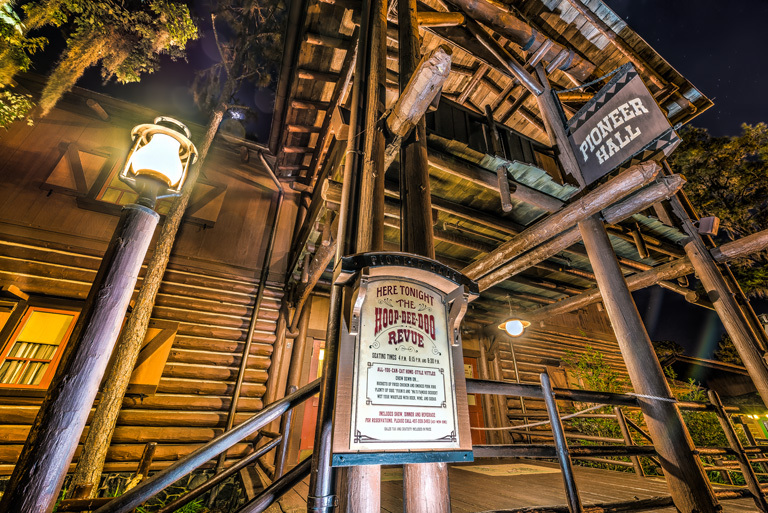 Also in the FanZone this month is the recipe from the Cornbread at the Hoop Dee Doo Revue. I love that stuff. It’s yummy! Then we have our Photo Contest and a look at Family Vinylmations. Wally D starts off Section k! with a Turkey Leg. You’ve just got to see this. The Park kids head over to Disney’s Hollywood Studios where Sadie is supposed to be in a show. What could be better than Game Night? 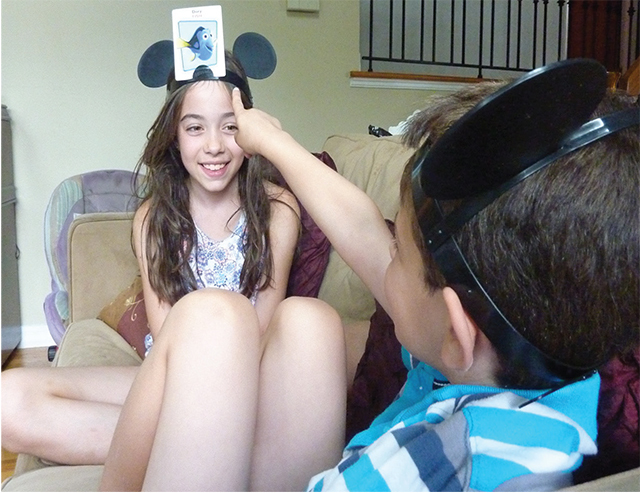 Oh, how about a Disney Family Game Night! That’s the subject of this month’s Bring the Magic Home. And, of course, we have our downloadable games, puzzles and coloring pages. Enjoy! Our Fan Pictures section has 111 pictures of YOU! We had so many pictures submitted we just had to find a way to show them off. So this month we have a Special Report full of pictures of you and from you. This is so cool. There are 25 pages and 111 pictures of you all around Walt Disney World. It’s pretty cool. 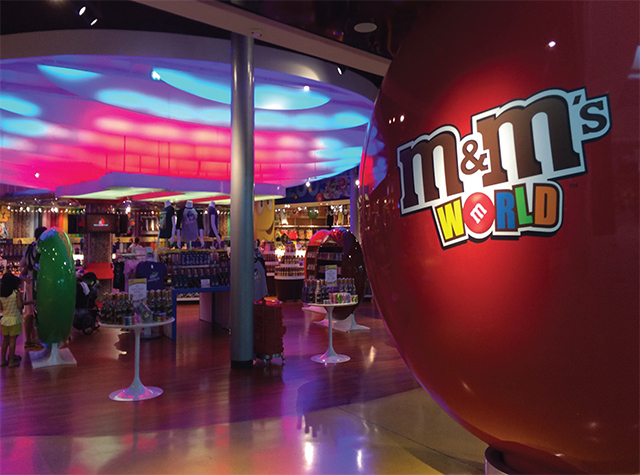 Take a trip over to M & M’s World. This big issue wraps up with a BANG! This month Around the World kicks off with a whole bunch of News. Then we take a trip around the World Showcase and look at the cool special performances that to on. Family Trivia is the subject of our Did You Know article this month. and in Gone but Not Forgotten we look at Horizons (now Mission Space). And last, but not least, we take a trip over to M&M’s World. Tasty! Family. That’s what it’s all about. Walt Disney dreamed of a place where families could create incredible memories together. I think he got it right. 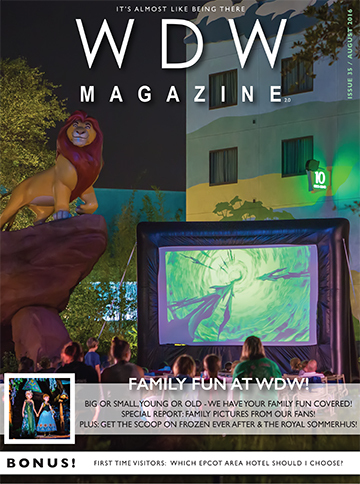 I hope you enjoy our Family Fun at WDW issue. We sure did.